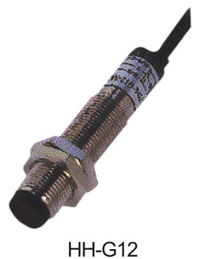 Capacitive sensors are used in machine systems and equipment for no-contact motion surveillance.They consist of two coaxial electrodes.a condenser and RC generator .This type of sensors reacts to both metal and nonmetal objects,as the gearing distance for non-metal objects depends on their dielectric constants . 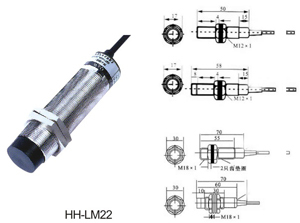 They allow gearing distance adjustment for non-magnetic conductive materials.They are developed on the base of PNP and NPN transition. 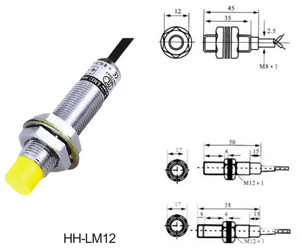 They have small dimensions and feature a metal cylindrical shell resistant to vibrations and a plastic lid which is oil and water resistant. 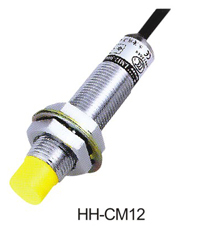 Photoelectrical sensors of the HH-Gxx series are all-purpose switches used in machine systems and equipment for no contact surveillance of motion of elements.They are based on the photoelectric principle of operation inside the sensor there is a photo signal emitter and receiver of the returned signal. 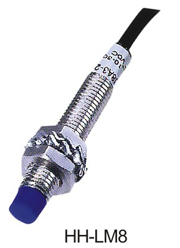 There are three types of sensors: diffuse sensors,reflector sensors and emitter receiver sensors.These types of sensors differ in the way of returning the singal.They allow for gearing distance adjustment. 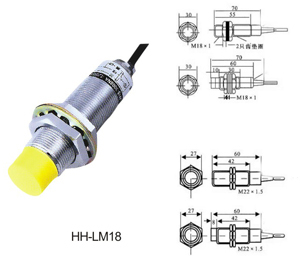 They are developed on the base of PNP and NPN transition.They have small dimensions and feature a metal cylindrical shell resistant to vibrations and a plastic lid which is oil and water resistant.